Fanclub Exclusive Pre-Sale - Two More Shows! Tuesday is right around the corner, and you know what that means: Another pre-sale! 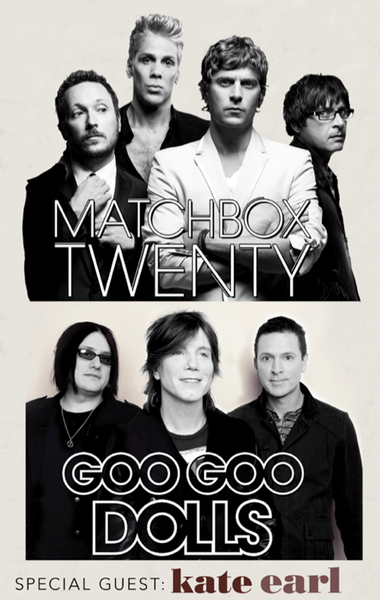 Two more shows on the Matchbox Twenty & Goo Goo Dolls Summer Tour will be included in a fanclub exclusive pre-sale on Tuesday April 30th at 10am local venue time. You will need a pre-sale code to access tickets. Codes will be emailed out to fanclub members on Monday 4/29 at 7am PT & again at 7pm PT. Not a member yet? Join now.